The Metropolitan Washington Airports Authority Board of Directors has no estimate for the completion of the Silver Line to Dulles International Airport now that every single speaker installed along the first phase of the project must be replaced, News4 Transportation Reporter Adam Tuss has learned. At Wednesday’s MWAA Board meeting, Dulles Rail Project Executive Director Pat Nowakowski said he doesn't have confidence in the communication system or with a critical link with the communication device that helps keep trains spaced apart evenly has to be replaced, Tuss reported. The speakers were not up to fire code and not listed with the Underwriters Laboratories -- a safety consulting and certification company -- as they were required to be. 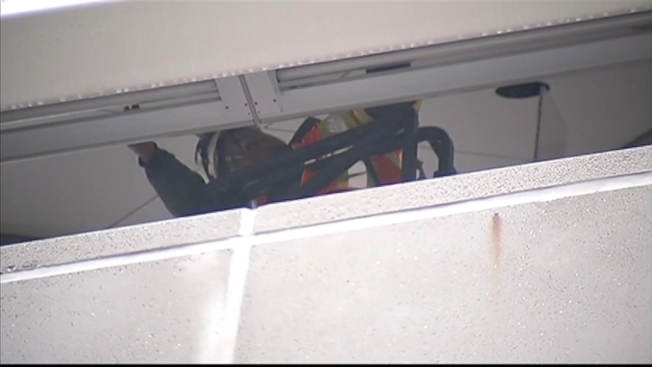 The Virginia Department of General Services told Tuss Silver Line officials were told to change the fire alarm system to a specific code, and because they did not change to that code, all speakers have to be replaced. There also are communication cables that aren't working properly. Boardmember says a cable that goes through a tunnel "is the wrong cable" BUT here's the kicker - that cable is used throughout Metro system! "We're not trying to do things differently or anything like that, but products change over time," Nowakowski said. Now a new contract must go out to replace the communication link for the automatic train control system along all 11 miles of the first phase. “We are very concerned about the time that this effort is taking,” MWAA President and CEO Jack Potter said. Head of Silver Line - "we are meeting multiple times every day to get this thing done." Board members also talked about getting its legal team ready just in case the next Silver Line deadline is missed. On top of that we now have some serious finger pointing going on and the Airports Authority is circling the wagons with its legal team. "Well, I guess we've gone from blaming the board to blaming the contractor to blaming the inspectors," Davis said. The first phase of the Silver Line project will run from East Falls Church to Reston. There will be four brand new stations in Tysons Corner alone. The longer it takes to hand the project over to Metro -- the longer it will be before any rider will be able to take a train through Tysons Corner and out to Reston. Once the project is turned over to Metro, the transit agency will have up to 90 days to complete a series of tests before it allows passengers on board. Contractor Bechtel is building the Silver Line for MWAA.